Two of the major causative factors of musculoskeletal disorders on recent years are the incorrect positions and the repetitive movements during work. The spine predominantly but also many peripheral joints (i.e. wrist, elbow, shoulder, knee) experience great strain either due to hours of incorrect posture or to incorrect and repetitive routine work movements (misuse or even abuse). Unfortunately, most of the times we realize the problem after the injury has been sustained with unpleasant consequences on both the employee who suffers, but also for the employer who looses for long time valuable services as a result of sick leaves or decreased performances and duties. 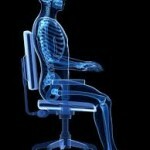 Various scientific researches in many countries prove that the maintenance of correct workspace and functions as well as the training in this subject by specialized professionals help in numerous pathologies prevention, such as low back pain, neck pain, carpal tunnel syndrome, tennis elbow and others. 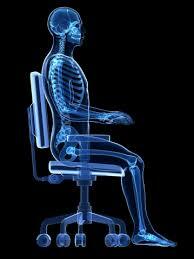 Furthermore, many researches indicate significant statistical decrease of sick leaves from musculoskeletal disorders after assessment and correction of the workstations and habits of the employees. The Physioactive clinic offers ergonomic training of businesses/offices/factories personnel at their workspace, correction of their workstations and teaching of simple, non-time consuming exercises and stretches aiming at musculoskeletal disorders prevention.